Did Richard hear the old Welsh legend of the Twrch Trwyth…..? I have often wondered why Richard chose a boar as his cognizance. There are other heraldic beasts and symbols that might have appealed to him, but it was a white boar that he chose. Why? Well, from all accounts, he was only a child when he made the decision, so what might have drawn him to this particular creature? There is a very famous, very large boar in the old Welsh stories, called the Twrch Trwyth, which means “the boar, Trwyth”. He is really a prince, but so wicked that he and his children have been cursed. This terrible creature and his family led King Arthur and his knights a merry chase from Ireland, across Wales, and thence over the Severn to Cornwall. He was never caught. Might such a story have engaged the attention of the boy Richard? After all, he lived for a while at Ludlow Castle, right in the Welsh Marches, where he was as likely to hear Welsh stories as English and French. It does not take much for me to imagine Richard, together with other noble boys of his age, gathered around by firelight on a winter night, listening rapt as an old Welsh retainer tells them the adventures of the Trwch Trwyth. The picture below may be taken in bright daylight, but when the sun goes down and darkness sets in, the atmosphere would be perfect for some storytelling. The tale of the Twrch Trwyth comes from a much longer story, that of Culhwch and Olwen, in which Culhwch falls in love with Olwen, a giant’s daughter, and seeks her hand. The gist of the action is that the giant sets Culhwch a list of tasks which must be completed before Olwen is given up. The format is much the same as the Twelve Labours of Hercules. Anyway, one of these tasks is to find Trwyth and retrieve the comb, scissors and razor he carries between his ears. Cwlhwch must obtain the help of King Arthur and his best knights to hunt the great boar and its equally monstrous sons, which are all rampaging around Ireland. And so the famous hunt begins, first in Ireland, and then across to Wales, where Trwyth and his sons cause more havoc. Trwyth himself evades capture, but one by one his sons are trapped and killed. Hunters are killed too, but Arthur continues the pursuit. Reaching the mouth of the River Wye, Trwyth seems cornered at last, and the hunters manage to retrieve the comb, scissors and razor, but Trwyth escapes into the estuary of the River Severn, and manages to swim across to the Gloucestershire shore. There he dashes on toward Cornwall. Arthur’s two best hounds chase after him, but Trwyth reaches Land’s End and leaps into the sea, followed by the hounds. All three disappear forever. What a wonderfully exciting yarn to listen to. What heroic images conjured in small boys’ minds. Did Richard hear it? Was he in awe of the Trwch Trwyth’s amazing stamina and bravery? Did he admire the way even King Arthur was unable to capture his prey? Did he think to himself that one day, he would have a boar as his mascot? A Twrch Trwyth of his own. A magical white (white animals were always special and sought after) boar to carry into battle in his name, as befitted the House of York? Well, Richard might never have heard the story, of course, but I still find it an attractive possibility. And I do like to envisage that scene at Ludlow, boys—and girls, of course—gathered around of an evening as a Welsh storyteller entertains them with tales of magic and myth. The Nanfans and the shadow of Raggedstone Hill…. It was a member of the Nanfan family of Birtsmorton Court in Worcestershire (Sir Richard Nanfan, Deputy Lieutenant of Calais) who told tales to Henry VII about Sir James Tyrell giving succour to the fugitive Yorkist de la Pole brothers, Edmund and Richard. Tyrell had done this knowing full well that the elder brother, Edmund, planned to take the throne from Henry. 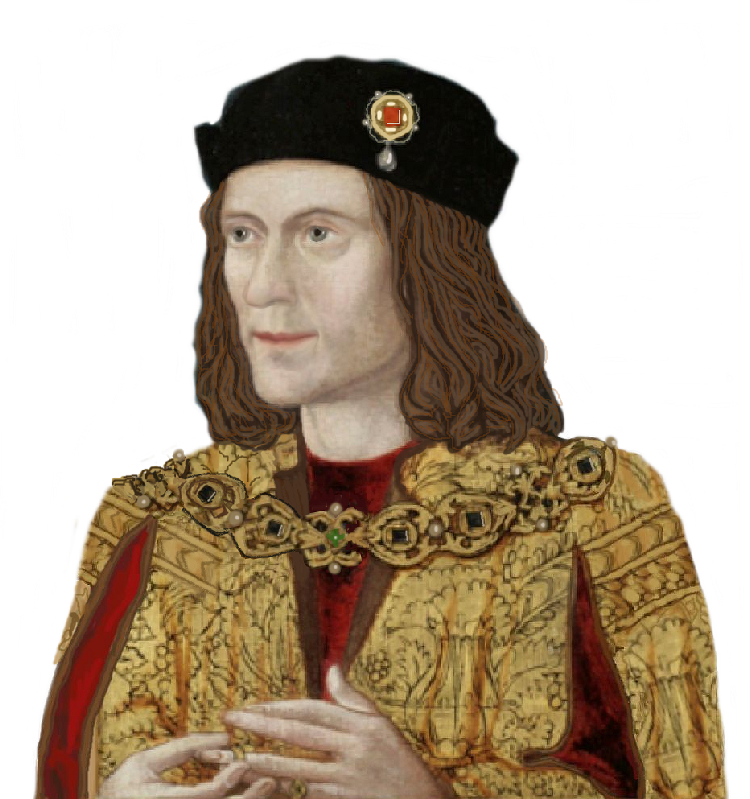 Nanfan’s action led to Tyrell’s eventual execution, after the so-called confession that he murdered the boys in the Tower on the orders of Richard III. However, it is not this aspect of the Nanfan family’s history that I am about to relate here, rather is it the dreadful curse that is supposed to have been cast upon one of Sir Richard’s ancestors, a Sir John Nanfan (there was more than one, and I cannot say exactly which it was). The Nanfans originated in Cornwall, but occupied Birtsmorton Court for about 300 years all told. As you will see from the photograph above, the moated house has to be one of the most beautiful in the realm. Weddings are held there now, and such a spectacular setting cannot help but make it sought after. The house nestles in the eastern shadow of the Malvern Hills. Oh, how frequently we use that expression, “in the shadow of”. It generally means nothing sinister, but in the case of the Nanfans of Birtsmorton, it had supposedly fatal consequences. North-west of Birtsmorton, just a little closer to the hills, is Little Malvern Priory, and it was one of the monks from here who cursed the Nanfans. It began when Sir John Nanfan enclosed land on Raggedstone Hill (one of the spine of the Malvern Hills that can be seen from three counties – see photograph at the top of this page) that the priory believed was its property, not his. One November day, Sir John found one of the monks on this disputed land and ordered him away. The monk stoutly insisted that the land didn’t belong to the Nanfans, and that if Sir John persisted in trying to steal it, God’s wrath would descend upon him. Well, Sir John wasn’t going to be spoken to like that, and told the monk what he could do with his threats. The monk calmly excommunicated him and warned that whenever the shadow of Raggedstone Hill fell upon Birtsmorton Court, the oldest son of the family would die within a year. Perhaps it was no coincidence that the shadow fell thus that very day. Nor was it a coincidence that Sir John’s son and heir died in the allotted time. Supposedly the shadow of the hill can only fall on the house on a certain November day, and if the sun isn’t shining at the time, i.e. is hidden by cloud, no prophesy can come true. According to the legend, Nanfan heirs did indeed die within a year of Birtsmorton Court being darkened by the shadow of the hill. Roy Palmer, in Herefordshire Folklore, lists that one fell from a horse, another was a casualty in the Civil War (the only royalist to die in a skirmish in the Leadon Valley), and yet another died in a duel after the Restoration. When the elder branch of the Nanfans withered, the malediction transferred to a junior branch, and so on. It has to be conceded that the Nanfans do not have the legend to themselves. Another version is that it was the Druids who from the hilltop cursed the Romans down below. Is any of it true? Well, there will be some incident at the heart of it, a confrontation, and maybe someone wished something nasty on someone else, but that will be the end of it. I do not believe in curses. Um, well, not really…. Fire raging, Wild south-west . Bright beacon blazon sad oppressed. Michael Joseph, Martyred name . Behold him lead the fervent flame. Artisan of iron and steel. Man of Cornwall, Steadfast zeal. One and all for rustic shire. Flag of Piran, Cross of white . Provision , weapons, Marching hike . Dagger, arrows, scythe and pike . At Deptford Bridge, longbows let fly. Lethal tears from anguished sky. The hammer wields, Strike forth, Retreat. Unyielding anvil scorns defeat . Forge embers cooling tempered glow. Harsh ruthless hurdle , chained astride. Defiant words survive disdain !